Enhance your off duty looks with the almost flat boot, Mallegan. 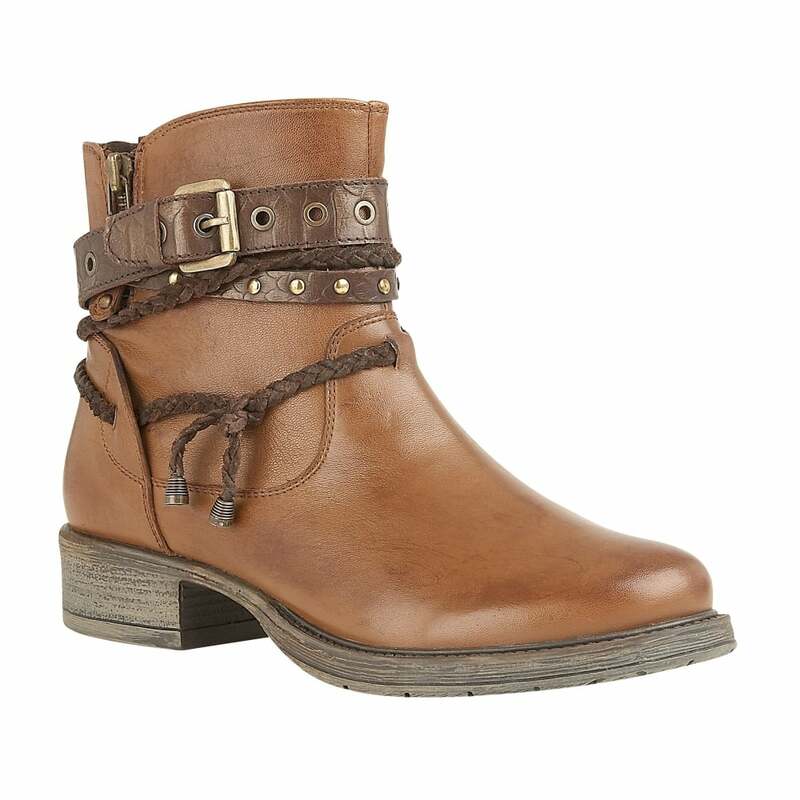 This Lotus ladies’ tan leather ankle boot features a wrap around buckle feature with stud work, entwined cord detailing and a decorative zip. The Lotus Mallegan ankle boot is one highly distinctive style that promises endless amounts of wear.